After 20 years of performing for crowds at Six Flags Discovery Kingdom, two elephants named Liz and Valerie have been transferred to Wildlife Safari in Oregon. 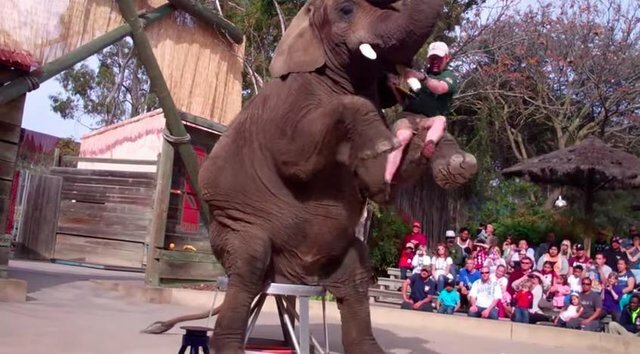 On face value, moving two middle-aged female elephants from an amusement park in Northern California that is home to a roller coaster ride called "Medusa" to a facility that promotes itself as a "safari" with more than 600 animals seems like a serious welfare upgrade. But that might not be the case. [Wildlife Safari] had a premature death of an elephant in 2014 and this is the second elephant death in four years. One of the most questionable issues about this move is that even though Wildlife Safari says that this recent death was due to natural causes, there is nothing natural about this facility and these elephants are not old. In the wild they would be at the prime of their life. So to send elephants to a facility that has highly suspicious elephant mortalities is reprehensible. Last year, IDA filed an official complaint to the USDA for what it calls the "premature" death of an African elephant named Alice. 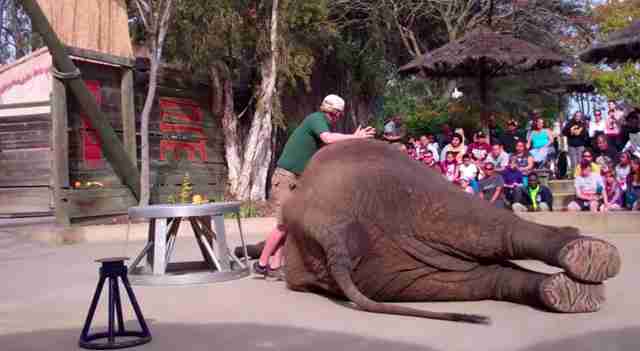 She was 44 when she died, after being used as a car wash. African elephants can live to be 70 in the wild. Frohoff described Wildlife Safari as "an antiquated zoo" because it uses bullhooks - sharp, poker-like weapons - to train and subdue its elephants. She said the park offers elephant rides, which the Humane Society considers cruel, in part because of the inhumane training methods that are often involved. Wildlife Safari was unable to respond to questions before this piece was published. Wildlife Safari is accredited with the Association of Zoos and Aquariums, which says its members have the highest facility standards in the industry. Liz, 51, and Valerie, 33, were the last resident elephants remaining at Six Flags Discovery Kingdom. Company officials say the transfer means the two elephants will be able to socialize with more pachyderms - but they will be missed nonetheless: "Liz and Valerie are beloved members of our family and their departure marks the end of a truly remarkable era." Zoos and circuses continue to face public pressure for reform and criticism from animal welfare organizations. Earlier this month, news reports say two employees with the UniverSoul Circus are facing animal abuse charges after sticking a bullhook in an elephant's mouth to move it off stage. 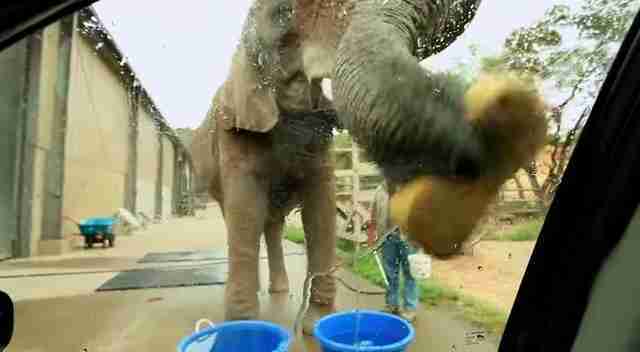 Below, see footage from the elephant show at Six Flags and the Wildlife Safari elephant car wash.